The new school year means new students entering your school. Whether your school or district is large or small, bullying is unfortunately an aspect of every school’s student community. Luckily many teachers and students are ready to stand up against bullying when it does occur. Hold a school-wide assembly introducing the reporting policy to students. If an online reporting form is being used, make sure the button to the reporting form on your school website is obvious and not hidden in a menu. 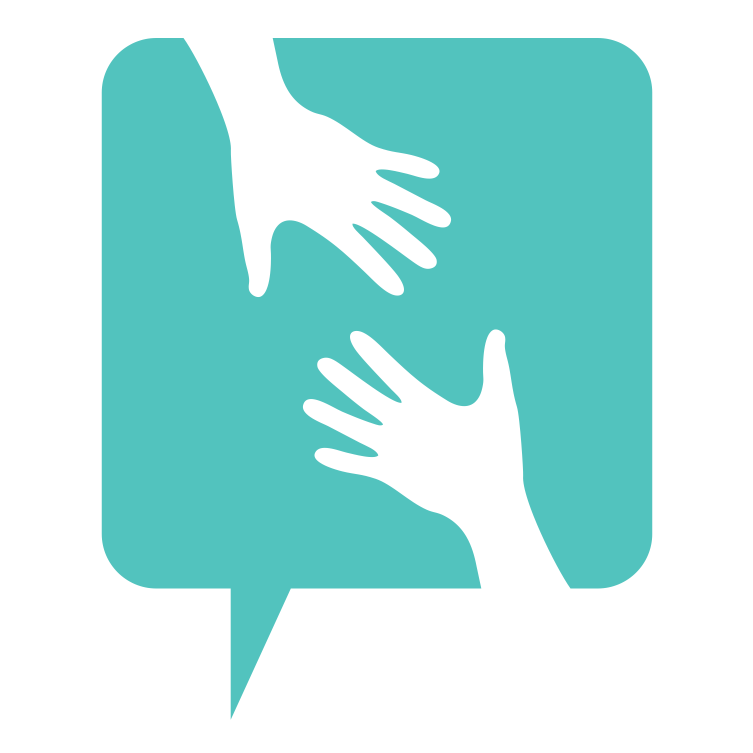 Introduce the reporting policy to parents during parent council meetings. Inform all parents via your school newsletter of the reporting policy. Have teachers inform students regularly (at least once every couple months) of the reporting options available to them. Hang a poster about it in the classroom! 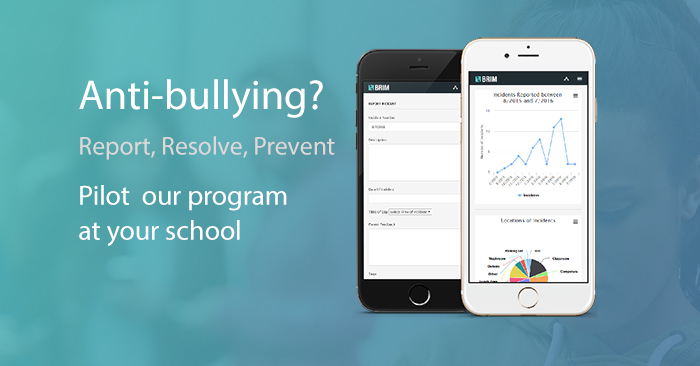 Get students involved in promoting the reporting of bullying. Have students create their own posters or wallet cards. Don’t leave the onus of reporting bullying solely up to the victims. Train students on being an active bystander or upstander that stands up for victimized students by not engaging in the harassment and immediately reporting it to school officials. Display posters prominently around the school in high traffic locations (cafeteria, hallway, bathrooms, etc) and in classrooms. Posters should aim to identify bullying, ways to address it and report it. Simplicity is key. People are more likely to report when it’s easy to do. Reporting on your reports will direct your process. Maintain reports in a way that shows emerging problems and patterns over time. Anonymous reports but should in many cases still be actionable. Keep reports confidential and private. School staff and students should be encouraged to report violations without fear of retaliation. Setting any goal requires setting what achievement of that goal means. It’s important you define what success means for your anti-bullying campaign. Success might be awareness of the issue by defining a specific number of assemblies or in-class activities. It might also mean training your staff to respond to bullying and equipping them with the tools they need to succeed. One common mistake here is trying to reduce the number of reported incidents within your school. Remember, just because there are fewer reported incidents of bullying doesn’t always mean there is less bullying occurring overall. Many incidents go unreported so fewer reported incidents might mean that your school community is perhaps afraid to report or does not know how to easily report incidents. Once you’ve come up with a plan, it’s time to implement it at your school. After you’ve run through the plan, hold a meeting with key stakeholders and ask for feedback on how the plan was implemented. 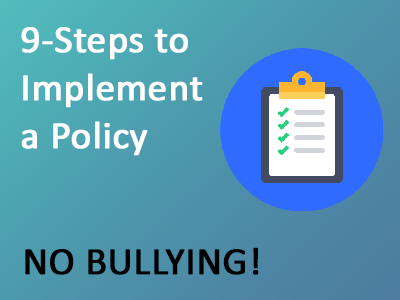 Take down ideas for the next time you roll-out your anti-bullying policies. Remember, as students graduate into higher grade levels or onto new schools, new students will need to be educated on your policies. Students that have heard the policies once may even need to hear them again – constant reminders throughout the school year will keep everyone refreshed.